Although the interface between the two systems is incredibly powerful, we are limited by the functionality available to us from the Xero interface. Invariably the warning messages that appear during a sync will give a very good indication of where the problem is. It is always worth looking carefully at the logs if you notice a problem as they are quite descriptive in identifying an issue. Refunds: Xero does not like on account refunds unless they are allocated to a credit note (either in Arthur or Xero). If you enter an on account refund to a tenant or payment to a property owner in Arthur without fully allocating it to a credit in Arthur first, it will not post to Xero. Where have you added transactions? : It is essential that you add a transaction in the correct area, be it at ‘Property, Unit or Tenancy’ level. 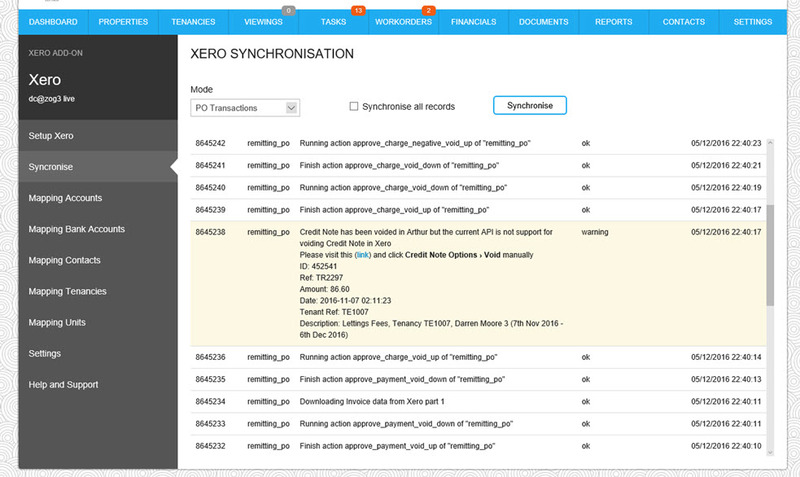 Editing transactions: If a transaction has been edited after it has already been synchronised, you will need run a sync on all records in order for this to update in Xero (Please contact a team member to help you with this). Best practice is to void transactions and recreate it, if you would like to resolve efficiently by yourself. Voided transactions: Generally speaking most things voided in Arthur should automatically void in Xero, but anything voided in Xero will definitely be voided in Arthur. Voided Property Owner charges in Arthur will also need to be voided manually in Xero. You will see the following message during the synchronisation, if you have lots of property charges you need to void, it’s best to do it in Xero because it will void in Arthur too. Check that you have not archived the record in Xero. Often tenancies are archived in Xero, so when you sync a new tenant/tenancy record it will not sync to Xero. Check that transactions do not have the same invoice reference number. Xero will not accept transactions with duplicate transaction invoice numbers. 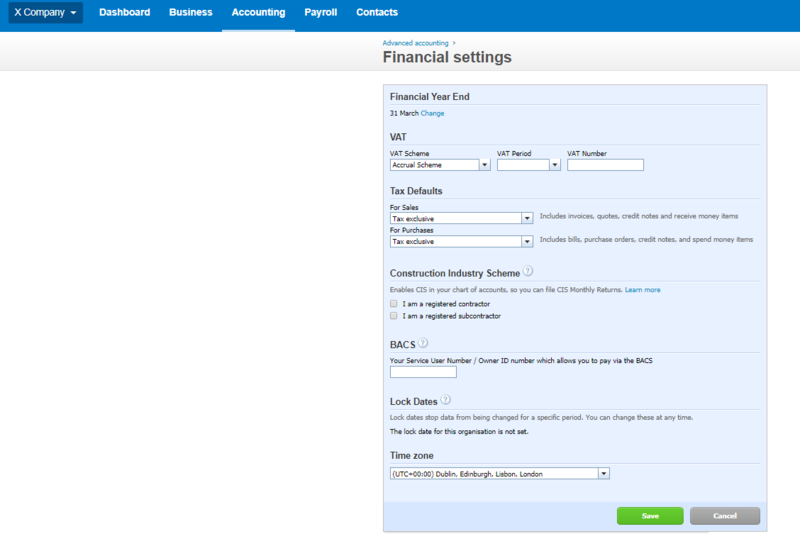 Another reason things to not post into Xero is because of Lock dates as shown below. Should a transaction occur after this period, you must remove the ‘Lock Dates’ and then add them again with dates that will allow the transaction to occur within.